This week's question is: What book(s) are you reading right now? What do you think of it? MY ANSWER: Currently reading Kim Harrison's A Perfect Blood and loving it! Love her Hallows series! It was one of the first adult paranormals I started reading when I "crossed over" from YA! Of course now I read both, but still! Love, LOVE A perfect blood. One of the better books in the series. Oooh, I've heard a lot of good things about this book! And I quite like this cover, there's something about it! Thanks for sharing and stopping by! AAAh I'm so late in this series I need to read the sixth book, yeah I know really late. I haven't heard of this one but it sounds great! The Hallows Series is on my TBR list. I really need to start it. Never heard of this book, but im glad you like it!! I have a lot of her books on my bookshelf and never read them..I'm bad..lol. Well here's another author I haven't read yet. Love love the cover of this book!! Aw, I haven't heard of this book, but I'm glad you are enjoying it! Thanks for stopping by. Never heard of this one before but the cover is just amazing ;) Thanks for sharing! Hey - congrats on branching out! I'm seventeen and still clinging to my Middle Grade books :) I might try this series, though when I finally decide to take a small step towards adult-hood! I still have to read Kim Harrison but hope you enjoy it! Haven't heard of that one but from the cover alone it looks good! I haven't heard of this, but it seems nice! Thanks for stoppin by my FF! Awesome one there! I've been wanting to start this series for so long. 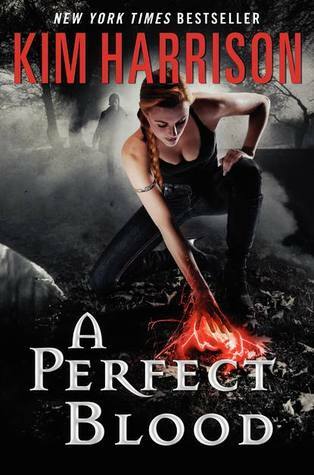 So many people love Kim Harrison, I really should read something by her already!!! This looks like a great read (see what I did there? ), I'm gonna check it out! Hi Jessica! Thanks for stopping by :) I haven't read your pick, but love the cover. I'm a 'cover' girl LOL - OLD follower of yours. Cursed Release Day Blitz and a Contest!